The Larson Electronics EHL-LED-ITG-120XLV-C1D1-100-1523 Explosion Proof LED Handlamp is ideal for general lighting, detailed tasks and inspections in hazardous locations. 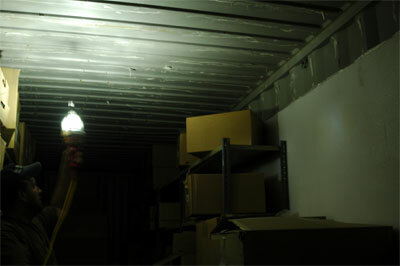 This 15-watt unit features 2,400 lumens of illumination. A heavy-duty swivel hook at the top of the handlamp offers versatile mounting on poles, indentions and small openings for hands-free operation. A unique angled board design offers 360° of comprehensive lighting. For safe, low voltage operation, an explosion proof inline AC to DC transformer steps 120-277V AC down to 12V DC or 24V DC. The EHL-LED-ITG-120XLV-C1D1-100-1523 is designed for handheld or hands-free illumination in hazardous locations. This 15-watt unit is compatible with mainstream outlets, operating on 120-277V AC, which is stepped down to 12V DC or 24V DC via an explosion proof inline transformer for low voltage applications. 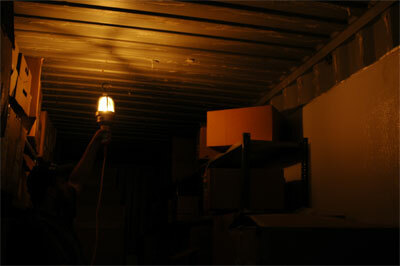 When in use, the lamp emits 2,400 lumens of white light with a color temperature rating of 5,000K and CRI rating of 70. An angled board configuration inside the unit offers 360° illumination for full lighting requirements. This durable LED handlamp is constructed of non-sparking aluminum, minimizing the possibility of ignition. A frosted lens design ensures clarity and prevents blinding when looking directly at the lamp during operation. This hazardous location unit is approved for Class I, Divisions 1 & 2 and Class II, Divisions 1 & 2 environments. The explosion proof inline transformer equipped with this unit provides the ability to automatically monitor and adjust input current to maintain the correct LED voltage levels regardless of input levels across a specific range. This ability to sense and adjust input current also provides protection against voltage spikes and drops that can occur in electrical systems which would otherwise result in burning up or premature LED failure without it.